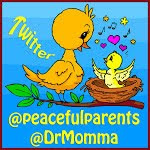 peaceful parenting: The Dangers of Your Baby "Crying It Out"
"Crying it out" seems to be the easy way out "trend" that is sweeping over America. 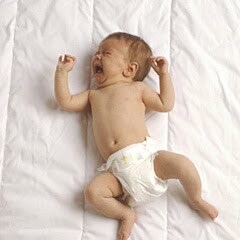 A newborn (or under six months of age) infant should never be left to cry it out, even for just a few minutes of time. They are so young it is their only way of telling you that they need something. Whether it is they are hungry, wet, in any kind of pain, or just need some love. A lot of parents will sometimes interpret a fussy baby's cry in the crib as "just being spoiled". This angers me beyond no end. 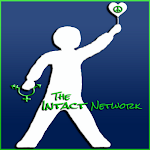 Babies this young and older can suffer short and long term damages if left to cry it out too long or too often. Scientists and doctors have been researching and discovering the negative sides of letting an infant cry it out for some time now, and have come to some pretty ugly facts, it is true that excessive crying could be harmful to babies according to science. Suffocation can even take place such as hyperventilation or choking on vomit. At times the infant can get so worked up with stress and anxiety they have a very hard time breathing and at that point are just crying for mommy or daddy to come help, they do not understand why anything is happening. Brain damage is also a very frightening and very possible outcome of crying it out. The lack of oxygen to the brain when so worked up, and constant short, hard breaths can kill many brain cells. The adrenaline and cortisol stress hormones are flooding to the brain, thus leading to neurological effects by the nerves that will not form connections to other nerves and will potentially degenerate. Research has also shown that babies who were "cry it outers" were ten times more likely to have ADHD as a child, as well as school performance being very low and antisocial behavior among their peers. In conclusion, we can only pray that the responsiveness, comfort, nurturing, and loving care of a mother to her infant will take place when the infant is calling out for whatever it is they may want or need. 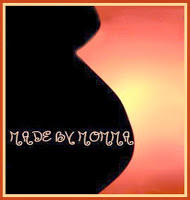 The responsiveness of a mother to her infant is the most important thing in developing a child's intellect. Do your research before listening to others out there who chat about how it "worked so well for them" and brag about their parenting expertise. 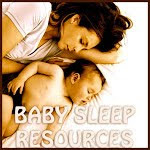 Figure out what works for you and your baby without stressing yourself out too much and without harming the child. Parenting is not supposed to be easy and every child is different, a thing most parents do not really take into consideration before having a child these days. Taking the easy way out may seem less stressful right now but will make it harder later in life if the negative side effects of it take place. Plus, bonding and showing love to your baby will not only show the benefits later in life but also be a chance to be closer to your little one now, even if it means waking up every 3 hours at night. They are only a baby once and it will pass leaving you wondering how they grew up so fast, and besides, their only way of telling you they are hurting or need something from you is to cry. So say farewell to crying it out and remember, it will only get better if you stick to it. 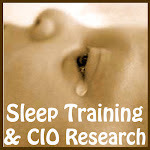 For more on sleep training, crying it out (CIO) and controlled crying, see resources on this page. Who are the people who think that's the easy way out? I break out in a sweat if I am indisposed (toilet, shower, for example) and forced to let my littles fuss/cry for more than a minute or two. I get physically ill over it. Maybe it's just me. 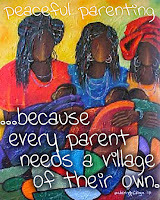 I totally agree- I carry my baby, she is 9 months, as much as possible which she loves.I co sleep and breast feed. I am a mother of 4- my other children are 4, 5 and 7 years who need a lot of attention also, especially at bath time and bed time so I try to give my baby to my partner while I see to the others. My partner is a farmer who works incredibly hard so does not have much time with the children. When I leave her with him to go upstairs to help the others settle to bed my baby cries for me- sometimes uncontrollably. This also happens if i go into the kitchen to prepare a meal.This is worse if she is getting tired but as soon as i go to her and pick her up she stops and smiles. My patner feels useless. Should I leave her for a short time to cry? So scary, I have actually let my son "cry it out" a couple of times when I succumbed to the intense pressure put on me by older family members to stop "spoiling" him and it felt HORRIBLE. Luckily it was only a few times and I have since stopped listening to them. I don't care if they think he's being spoiled. I care that he's getting what he needs!! Does anyone have any advice for babies that are older than one and under 3 or 2 years? 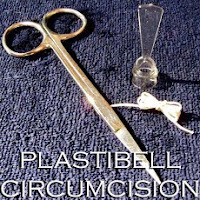 People seem real silent on advice around that age. My 18 month old is old enough to express the "needs" she has but cries excessively over about anything she doesnt like. So far Ive been trying to ignore the whiney cries because thats all I know to do. She gets lovin all the time otherwise. dear anonymous- try reading 'tears and tantrums' by anthea solter for some good advice on that age. might be 'broken cookie syndrome' don't ignore and do let her cry it out in your arms for as long as she needs to without distraction or shhh'ing. just be with her. over time her need to cry will reduce. it's an age of frustration and difficulties and she is probably trying to tell you that! Thank you so much for posting this! I just had an ugly discussion with my husband because the Pediatrician ADVISED to us to let our little 4 mos old baby boy cry out for a week until he learns to sooth himself to sleep. He still breastfeeds and he is the sweetest and happiest baby ever! why would I do that to him?? Just "to have my life back". According to the "EXPERT" he is old enough and will do no harm to him. I absolutely think that is cruel and all is teaching him is that only in certain situation mommy and daddy will be there,and to not trust on people you love. No way!! I cant help it if i am driving and she's crying at the back..that is the only time she CIO..i hope it do any effect..